White in physical appearance with no odor, It has high viscosity and transparency, and can be quickly dissolved. Processing procedure: Refine konjac fine flour and treat it with alcohol, to get rid of impurities like starch, ashy substances, cellulose, pigment and alkaloid, thus to get the high-purity konjac gum. Dry base contents acount for 80%-95% in the product. By using edible alcohol as carrier, the processing procedure adopts modern and advanced techniques, without using any chemical additive, to ensure the quality and purity of the product. According to customers’ requirements, we have also developed low-sulphur products, in which SO2 content is limited under 4ppm(as per E-425ii). 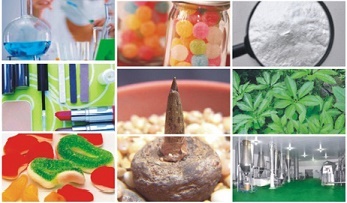 Konjac Gum products are mainly used in producing high value-added food, pharmaceutical and healthcare products and cosmetics, such as jelly, jam, jelly drops, dairy products and medicine capsules, etc.